Every time I introduce a “new to me” ingredient” (like the gochujang in my last post) I get feedback. Some folks find the information very usual and can’t wait to try it on their own. (Gold Star!) There are folks who claim they can’t find the ingredient in their area. (But given how quickly they respond to the original post…I’m guessing that is an excuse not to try something new.) There are folks who think I have been living under rock because they have been using that “new” ingredient all their life. 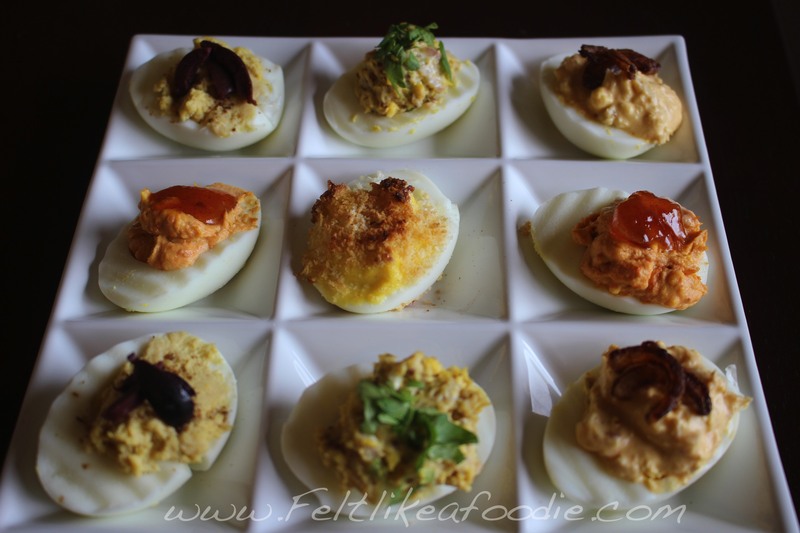 And of course, there are folks who really want to try something new but don’t want to get stuck with some odd ingredient in their house that they use in only one recipe. Well guess what? (What?) Today is your lucky day. I did something else with gochuchang last night that is going to blow your mind and put your new condiment to use. 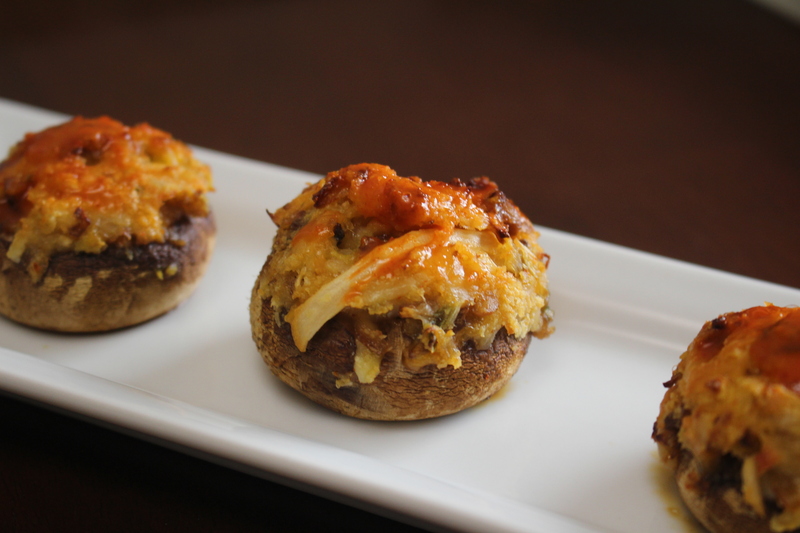 I made a fun little sauce with gochujang and swiped it on my stuffed mushrooms! As the kids say….BOOM!!! (Actually I think they add some swears to it…your choice). 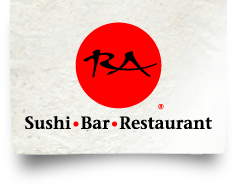 Either way….It was a mouth explosion!!! Now I’m getting ahead of myself because what I first want to talk about is how to clean your mushrooms. It is a very controversial topic. Next, give them a spray of water and a little shake in the colander….and then another little spray…and another little shake. Be gentle. Kind of like a mushroom sponge bath. Now pop out the stem but don’t toss them!!! Chop off the tiny part that was touching the dirt. That part of the stem is usually really woody and off-putting in texture. So for my “new” recipe, I made my standard stuffed mushroom but added a little kimchi (to stick with last week’s Korean theme) and brushed it with a mixture of gochujang and lemon. This is a great way to introduce kimchi to someone because it is really subtle and almost is more present it its texture than its flavor. Plus, you get to use up some of your gochujang. Clean your mushrooms and set your trimmed stems aside. Add a little sprinkle of salt inside each cap. In a medium nonstick pan over medium heat, add a swirl of olive oil. And the minced up stems and shallots. Mix them up with a spatula in the pan and let them cook undisturbed by for about 1 to 2 minutes. You want them to start to just start to brown a little but not burn. Keep an eye on them. Give them a stir and cook another minute. Turn off heat and take off the heat. In a separate bowl, mix the cheese, panko and kimchi. Add the mushroom stem mixture and incorporate it all together. 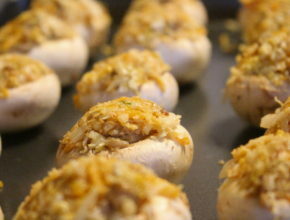 Using a small spoon, stuff the mushroom caps and place them on a baking sheet in a single layer. This is how much filling should be in each one. 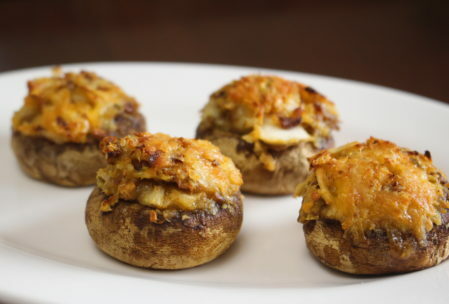 Bake for about 20-30 minutes depending on the size of your mushroom. While the mushrooms are cooking, mix the juice of the one lemon with 1 Tbsp of Gochuchang. Have a pastry brush at the ready because you will brush this on the mushrooms as soon as they come out of the oven. Ding. Take the mushrooms out of the oven and brush them generously with the lemon/gochuchang. This recipe is my standard. If you aren’t daring enough to try the Korean ingredients, you can make them without the kimchi (add a little more cheese and panko) and just give them a squirt of lemon juice when they come out of the oven. They’ll look a little more like the following picture. Won’t have mushroom. ,,,, good one!! !